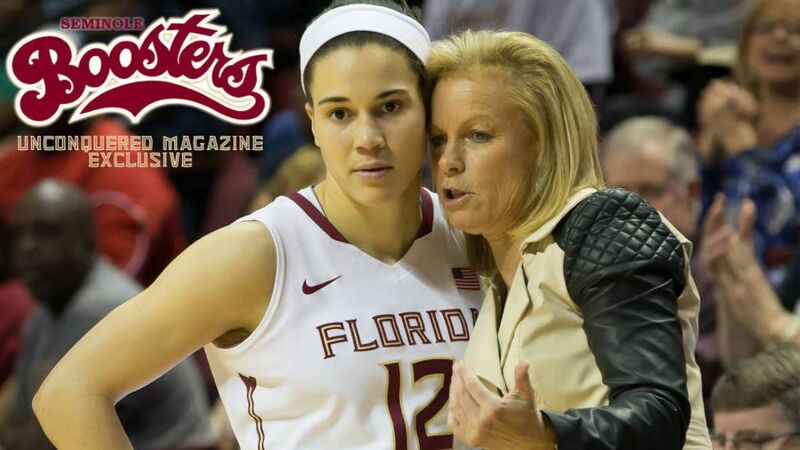 This article is being brought to our fans courtesy of the Seminole Boosters’ Unconquered Magazine. The magazine is just one of the many benefits to our Seminole Boosters for their support of Florida State athletics. Unconquered Magazine celebrates Seminole athletics and the indomitable spirit of its student-athletes who overcome adversity, the passion of its coaches and educators who help student reach beyond their limits, and the devotion of donors who redefine the boundaries of generosity by giving scholarships that change lives and who make donations that build first-class facilities. By sharing their stories of transformational experiences—on the athletic playing field, in the classroom and in life—Unconquered Magazine encourages the growth of responsible worlds citizenship and cross-cultural understanding. Each issue carries stories on what makes student-athletes great and how they were shaped by their experience at FSU, features on Seminole community sports legends and profiles of donors who make contributions. Brittany Brown was almost a Gator. The first basketball camp that she attended at the mere age of six was at the University of Florida. Her mom is a UF fan. It would have been a natural fit and the plan had always been to go to college and play basketball close to her Ft. Walton Beach home. Luckily for Florida State, Brittany decided to become a Seminole.